After staying in London for a couple of days, we packed our bags, headed for Heathrow and flew up to Scotland's capital city, Edinburgh. I have visited other parts of England and marveled at its splendor so traveling to another part of the UK was very exciting for me. 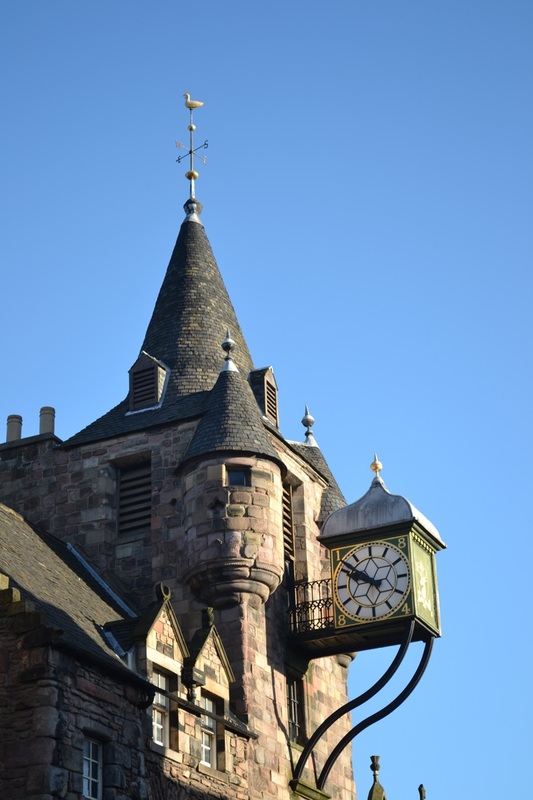 My husband hasn't explored the sights of Edinburgh before so it was wonderful that we got to experience them together. I fell in love with this beautiful Scottish city as soon as I stepped out of the airport. I swear I felt like I was in a different time period! 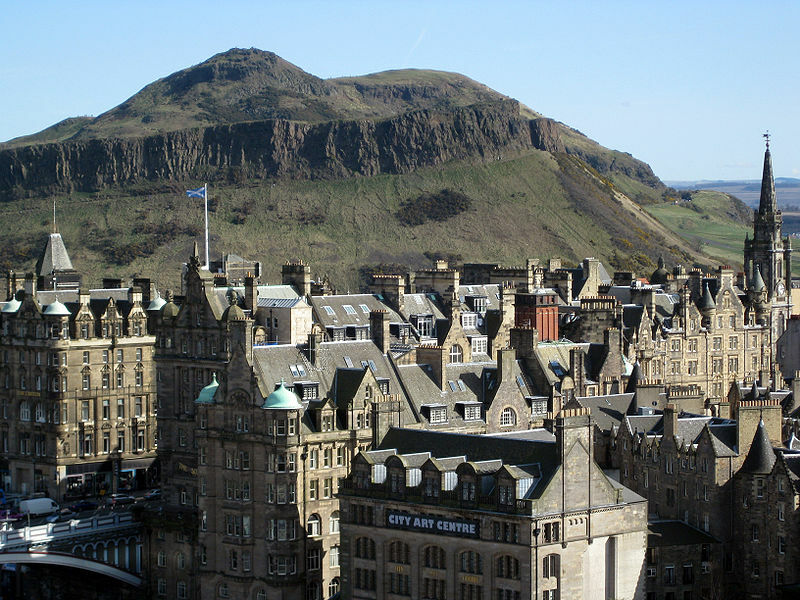 One of the many interesting features of Edinburgh is that it sits in the shadow of an extinct volcano called Arthur's Seat, the hill shown in the photo above. The architecture is utterly amazing. 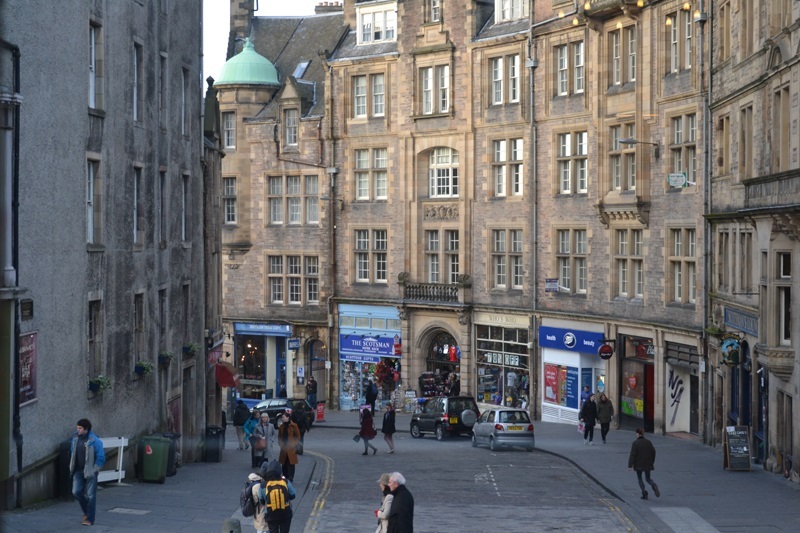 I really enjoyed looking at all the stone buildings and cobbled streets! Comfort was kept in mind when I was putting together this look. I wanted an easy, fuss-free outfit for the flight so I just wore my trusty black jeans and dress shirt. 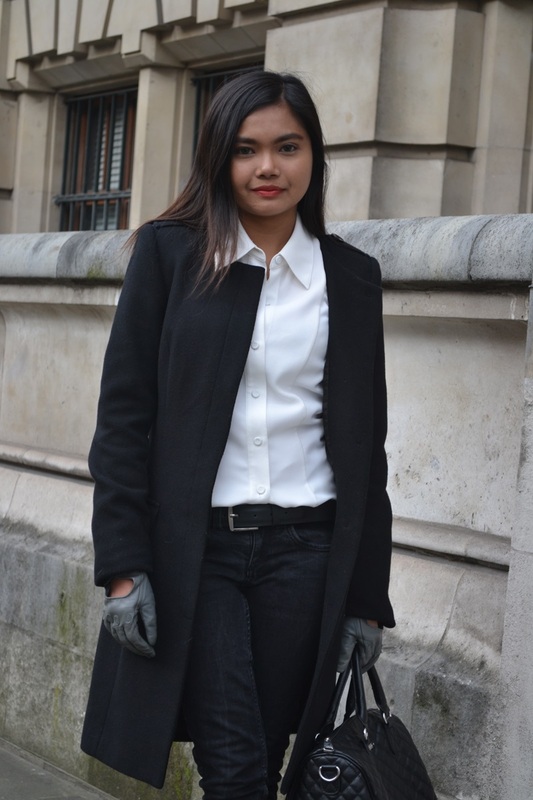 Because Edinburgh is known for its freezing temperatures especially during the winter months, I incorporated leather gloves and a woolen coat to keep me warm. Minimalistic. Clean. Blanc et Noir. Fabulous outfit, love the coat and the pictures are wonderful!